With a population of over 24 million people, Shanghai is the largest municipality by population in China, so it goes without saying that things can get a little crowded there! 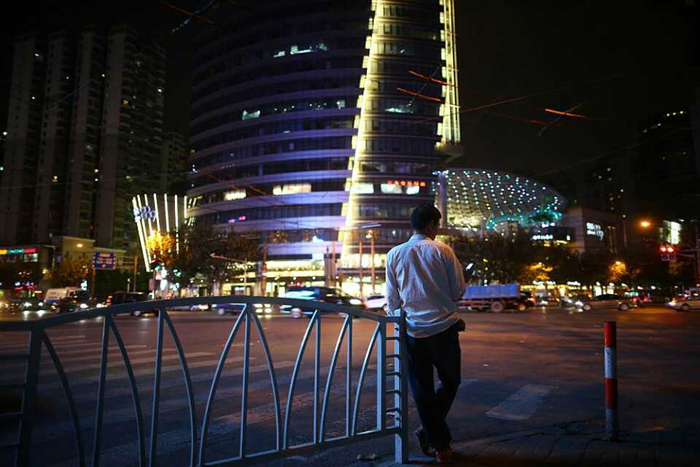 The municipality consists of 18 districts and several islands just offshore in the East China Sea, while the city itself is located right on the coast between the mouth of the Yangtze River and the bay of Hangzhou. With its humid, subtropical climate and four distinct seasons, Shanghai is a bustling metropolis with a quaint coastal charm. “Shanghai” literally means “Above the Sea” or “On the Sea” and the earliest mention of the name occurred in the 11th century, during the Song Dynasty (960-1279). There are numerous theories as to exactly why it was named this way, but historians have largely concluded that, during the Tang Dynasty (618-907), the town developed on the seashore itself. After all, sometimes the simplest answer is the right one! The city’s nickname of “Shen” (申) derives from the name of Lord Chunshen, whose fiefdom included the Shanghai area during the Warring States Period (c. 476-221 BC). Right up until the 7th century, the Shanghai area was severely underdeveloped and, during the Song Dynasty, the city of Shanghai was just a small, isolated fishing village. But change was soon to come in the form of northern immigrants, who were desperately fleeing from the invading Mongolians. They began settling in the area surrounding Lake Tai and boosted the economic growth of the region. So it seems one man’s tragedy turned out to be Shanghai’s treasure! Soon thereafter people started to realise Shanghai’s potential as a port and shipping centre, as its naturally auspicious location placed it near both the coast and the banks of a major river. 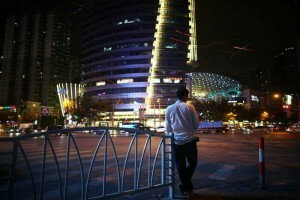 Like a struggling actor in Hollywood, Shanghai was finally starting to get noticed! It began rapidly expanding and, by the 13th century, the area had been designated as a county seat. Unlike other coastal towns, which suffered greatly when maritime trade was banned during the Ming Dynasty (1368-1644), Shanghai continued to prosper as one of the major production centres for cotton. Even though it was still only a county town, it was considered valuable enough to warrant the building of city walls in 1554 and it was rewarded with a City God Temple in 1602, which was an honour normally reserved only for prefectural capitals or cities of political importance. In spite of its low political status, the region’s economic significance was undeniable. In 1684, during the Qing Dynasty (1644-1912), the Kangxi Emperor finally lifted the ban on maritime trade and in 1732 the Yongzheng Emperor moved Jiangsu’s customs office from Songjiang to Shanghai, enabling the city to rise as one of the wealthiest seaports in the country. When the First Opium War (1839–1842) ended, a contract known as the Treaty of Nanking was signed and this dictated that five Chinese seaports, including Shanghai, were to be opened up to unrestricted foreign trade. Similar treaties, such as the Treaty of Bogue (1843), the Treaty of Wanghia (1844), and the Treaty of Whampoa (1844), gave the United Kingdom, the United States, and France significant political power in China, allowing them to carve out concessions and enabling more expats to live and work in seaports such as Shanghai. The colonial, neoclassical, and art deco-style architecture that can be found in these old concessions bear witness to the powerful influence these foreign countries had on the city. Yet, not content to share the glory, Shanghai soon outranked its competitors and rose to be the major seaport for foreign trade. The city of Canton (modern-day Guangzhou) in Guangdong province was once its main rival but, during the Taiping Rebellion (1850-1864), it was cut off from the mainland and Shanghai was able to flourish uncontested. The city’s wealth and power eventually led to it becoming a municipality in 1927. Perhaps one of the most famous parts of the city is the district of Pudong, which rests on the eastern banks of the Huangpu River. It was established in 1870 as one of the city’s earliest industrial areas but, believe it or not, it was originally notorious as Shanghai’s most depraved slum! 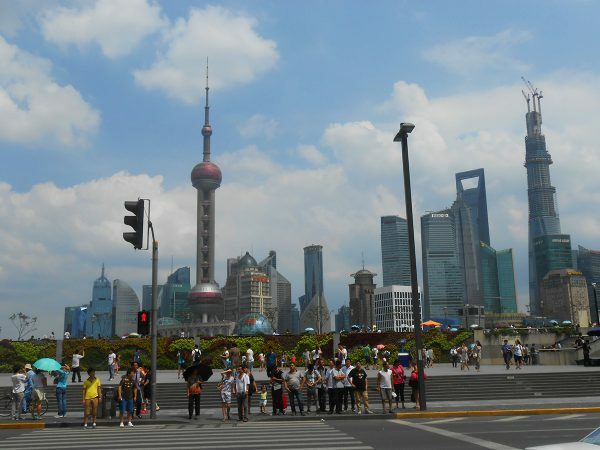 Nowadays it is renowned for its unusual and futuristic skyscrapers, which include the Shanghai World Financial Centre, the Shanghai Tower, and the Oriental Pearl Tower. At over 490 metres (1,600 ft.) in height, the Shanghai World Financial Centre is the eighth tallest building in the world, while the colossal 632-metre-tall (2,000 ft.) Shanghai Tower ranks second in height only to the Burj Khalifa in Dubai. Unlike this burgeoning modern borough, the centre of Shanghai is characterised by its random and labyrinthine street pattern, a throwback to its days as a simple fishing village. Until the 20th century, this old part of the city was still surrounded by ancient city walls. These two districts serve as an embodiment of the dichotomy in Shanghai, as modern-day advances wrestle with ancient traditions. From the Bund and the Lujiazui skyline to the City God Temple and the 16th century Yu Garden, the city is a hectic mixture of contemporary architecture and ancient Chinese history. Museums and theatres such as the China Art Museum, the Shanghai Jewish Refugees Museum, and the celebrated Dashijie or “Great World” theatre have helped Shanghai become the cultural mecca of southeast China. This, along with the numerous public parks, French-style gardens, and vibrant greenery dotted throughout the city, have come together to make it one of the most scenic and unforgettable cities in China.